Take a Deep Breath? But 9 in 10 People Worldwide Live with Excessive Air Pollution! ROME, Sep 29 2016 (IPS) - The warning is sharp and the facts, alarming: 92 per cent of the world’s population live in places where levels exceed recommended limits. And 6.5 million people die annually from air pollution. And the warning comes from the leading United Nations agency dealing with health, which rolled out its most detailed profile of the scourge ever in a bid to slash the deadly toll. “Fast action to tackle air pollution can’t come soon enough,” the Geneva-based UN World Health Organization (WHO) top environmental official Maria Neira on 27 September said of the new air quality model, which includes interactive maps that highlight areas within countries exceeding WHO limits. The world’s population reached 7.35 billion last year, according to UN figures. “Solutions exist with sustainable transport in cities, solid waste management, access to clean household fuels and cook-stoves, as well as renewable energies and industrial emissions reductions,” Dr. Neira added. Nearly 90 per cent of the deaths occur in low- and middle-income countries, with nearly two out of three occurring in the South-east Asia and Western Pacific regions. “Air pollution continues to take a toll on the health of the most vulnerable populations – women, children and the older adults,” WHO’s Assistant Director General Flavia Bustreo said for her part. “For people to be healthy, they must breathe clean air from their first breath to their last,” she added. Major sources of air pollution include inefficient modes of transport, household fuel and waste burning, coal-fired power plants, and industrial activities. But not all air pollution originates from human activity. 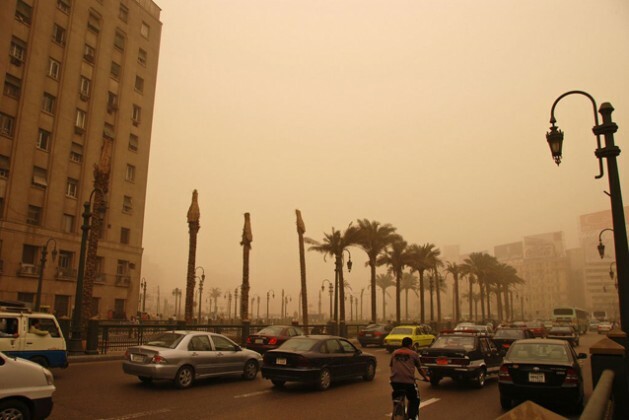 For example, air quality can also be influenced by dust storms, particularly in regions close to deserts. 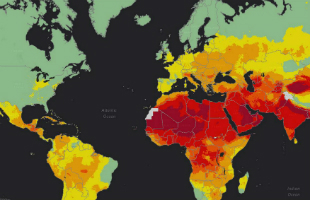 “The new WHO model shows countries where the air pollution danger spots are, and provides a baseline for monitoring progress in combating it,” Dr. Bustreo said. Developed in collaboration with the University of Bath, United Kingdom, it represents WHO’s most detailed outdoor air pollution-related health data ever, based on satellite measurements, air transport models and ground station monitors for more than 3,000 locations, both rural and urban. Some three million deaths a year are linked to exposure to outdoor air pollution. Indoor air pollution can be just as deadly. In 2012, an estimated 6.5 million deaths (11.6 per cent of all global deaths) were associated with indoor and outdoor air pollution together. Ninety-four per cent of the deaths are due to non-communicable diseases – notably cardiovascular diseases, stroke, chronic obstructive pulmonary disease and lung cancer. Air pollution also increases the risks for acute respiratory infections. “This new model is a big step forward towards even more confident estimates of the huge global burden of more than six million deaths – one in nine of total global deaths – from exposure to indoor and outdoor air pollution,” said Dr. Neira, WHO Director, Department of Public Health, Environmental and Social Determinants of Health. The Ambient Air quality guidelines of WHO limit annual mean exposure to particulate matter with a diametre of less than 2.5 micrometres (PM2.5), such as sulfate, nitrates and black carbon, which penetrate deep into the lungs and cardiovascular system, posing the greatest health risks. The Sustainable Development Goals (SDGs) of the 2030 Agenda, adopted at a UN summit in 2015, call for substantially reducing the number of deaths and illnesses from air pollution. The issue of sustainable cities, which is one of the SDGs, will be at the heart of a media and civil society organisations training workshop, organised by IPS and the UN Foundation http://www.unfoundation.org/, scheduled to take place in Quito on October 27-28. The Quito workshop is part of a series of IPS-UNF training events in two European and one Asian country, all of them taking place during October and November, under the common title: Decoding the Future. Anyway, no region is safe. For instance, in prosperous Europe, air pollution, climate change, unhealthy lifestyles and disconnection between people and the environment are increasingly affecting human health in the pan-European region, according to the latest report by the UN Environment Programme and the UN Economic Commission in Europe. The report, which was released on June 8, calls for greater cooperation and a more integrated approach to tackle the transboundary challenges in the pan-European region, which comprises the 53 countries spanning Europe, the Caucuses and Central Asia, and Israel. Of these challenges, air pollution is the greatest threat with more than 95 per cent of the European Union (EU) urban population exposed to levels above World Health Organisation guidelines, according to latest Global Environment Outlook (GEO-6) assessment released today by the Nairobi-based UN Environment Programme (UNEP) and the UN Economic Commission for Europe (UNECE). Over 500,000 premature deaths in the region were attributed to outdoor air quality and 100,000 to indoor air quality in 2012, according to the assessment. UNEP and UNECE have alerted that an urgent shift from incremental to transformational change will help to reverse some of these indicators. “The GEO-6 assessment for the pan-European region highlights how the transition to an inclusive green economy in the region must be built on resilient ecosystems, sound management of chemicals and clean production systems, and on healthy consumption choices,” Jan Dusik, Head of UNEP’s Regional Office for Europe, said. The report also finds that environmental challenges in the region have become more systemic and complex, while resilience to these will be affected by megatrends largely outside the region’s control. “This report provides fresh information on the region’s emerging environmental issues and it will help governments shape their future policy,” said UNECE Executive Secretary Christian Friis Bach. Other challenges discussed in the assessment include climate change, considered one of the largest threats to human and ecosystem health, and to achieving sustainable development in the pan-European region.